Update, December 8: The Game Awards are set to begin streaming shortly. 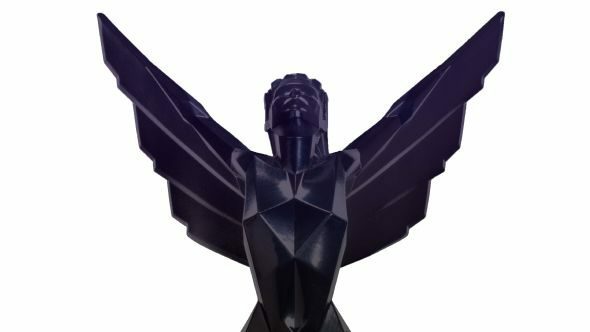 The Game Awards are set to begin very soon, celebrating the biggest and best of the industry’s year, along with plenty of big stuff for the future. The pre-show begins at 17:30 PST / 20:30 EST / 01:30 GMT, and it will feature a handful of announcements that couldn’t be squeezed into the show itself. The show proper begins 30 minutes after that. We’ll have plenty to add to our list of upcoming PC games. You can catch the show through the YouTube embed below, but it’s on every streaming site known to man, from YouTube and Twitch to Facebook, Twitter, and your console platform of choice. If you watch through Steam, Valve will be giving away a big selection of games to active users, so you may want to tune in there as well. Update, December 5:The Game Awards are just a few days away, and we’re starting to hear more official announcements about what to expect, plus some tantalizing rumors. Metro Exodus will be among the upcoming games showcased at The Game Awards this Thursday, December 7. Geoff Keighley announced the reveal would be coming on Twitter, along with a snazzy new logo treatment. The Metro follow-up was first announced at E3 earlier this year with four minutes of in-game footage. (At least in theory, who can say with E3 demos.) We’ve heard bits and pieces about the game since then, but this is likely to be our first substantial look at it. You can take this one with a grain of salt, but YouTuber and journalist George Weidman – aka Super Bunnyhop – says there are rumblings of a Portal “thing” to be showcased at the awards. It’s exceedingly unlikely that this’ll be anything approaching a Portal 3 since Valve can’t count that high, but it wouldn’t be surprising to see Chell and GLaDOS appear in a VR spinoff or something similar. Guests scheduled for the award show include nerd-approved celebrities like Aisha Tyler, Andy Serkis, Zachary Levi, and Felicia Day, along with industry folks like Ed Boon and Casey Hudson. Original Story, June 15:Big Geoff Keighley’s game blowout bonanza (as The Game Awards should be called) is returning for another year, again in December, and almost certainly again packed with trailers as well as worthy winners. Announced via Twitter a couple of days ago, the show will be taking place on December 7. Ooo, lines. Tickets are still availableif you can make it out to LA. Interestingly, this puts TGA just two days before this year’s PlayStation Experience event. While less relevant for us PC folk, that’s usually PlayStation’s blowout for the year – with games like The Last of Us 2 and Street Fighter V being announced. It could mean that there are more slots at TGA for stuff that’s likely to come our way. There’ll also be the question of the awards, of course. It’s nicely placed after the October hell-month, so there should be plenty to choose from. Any early front-runners for you? Let us know below.